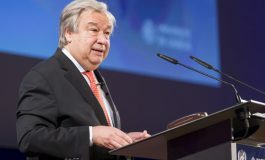 Nicosia.- (CNA) – The Greek Cypriot side will continue its efforts to reach a Cyprus settlement the soonest possible with good will, and according to the negotiating basis agreed by the two communities of Cyprus Government Spokesman Stephanos Stephanou has said, calling on the Turkish side to follow suit. Referring to statements by Presidential Commissioner George Iacovou in an interview he gave at www.theparliament.com, Stephanou noted that Iacovou’s reference to the Turkish Cypriot demand for “two economies and two foreign policies” in Cyprus does not concern the current negotiations between Cyprus President Demetris Christofias and Turkish Cypriot leader Dervis Eroglu since these issues have not yet been discussed by the two leaders. He noted that the report posted on the website regarding Iacovou’s statements is a short summary of a long conversation which Iacovou had with the journalist who interviewed him. Stephanou recalled that Christofias and Eroglu are currently discussing the property issue, and noted that what Iacovou stressed in his interview is that during the whole course of the negotiations, which began on September 3, 2008, there have been difficulties and obstacles, as well as steps forward and some progress. “Despite these obstacles, as Iacovou said, the Greek Cypriot side will continue efforts for a settlement the soonest possible in the framework of a bizonal, bicommunal federation, in the framework of the agreed basis and on the basis of the UN resolutions, the international and the European law and certainly of the high level agreements of 1977 and 1979,” Stephanou added. 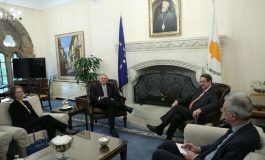 Stephanou said that it must be stressed that the issues of the governance and the economy have not yet been discussed by Christofias and Eroglu. Referring to the issue of property, he recalled that President Christofias and former Turkish Cypriot leader Mehmet Ali Talat had agreed on the principle that the owner is the one who retains ownership since 1964 but the Greek Cypriot side wants the owner to have the first say in his property, while the Turkish Cypriot side wants the user of the property to have the first say. Asked about the positions expressed so far by Eroglu on the property issue and if these show that there might be a deadlock, Stephanou recalled that Christofias and Eroglu have only had two meetings so far in the framework of the direct negotiations, noting that no assessments have been made so far, even though Eroglu’s positions were well known before the resumption of the negotiations. The EU has been urged to press Turkey to help speed up reconciliation negotiations on the divided island of Cyprus. The appeal comes in the wake of the latest round of talks between leaders from the island’s Greek Cypriot and Turkish Cypriot communities. According to a senior Greek Cypriot aide, the discussions, which took place in a UN-patrolled buffer zone in Nicosia on Wednesday, ” failed to make any progress whatsoever” on the thorny issue or property rights. This focuses on property and land Greek Cypriots were forced to abandon in the north of the island following the 1974 Turkish invasion. Speaking exclusively to TheParliament.com, George Iacovou, a close aide of Greek Cypriot president Demetris Christofias, lambasted the Turkish Cypriot negotiators for making a set of “totally unreasonable” proposals at the meeting. These included, he said, an insistence that even in any final agreement Cyprus should still retain “two economies and two foreign policies”. The Turkish side, he said, also insisted at the meeting that under any solution to the Cyprus problem, Turks should be afforded immediate freedom of movement in areas such as labour, goods and services, as is currently enjoyed in EU member states. 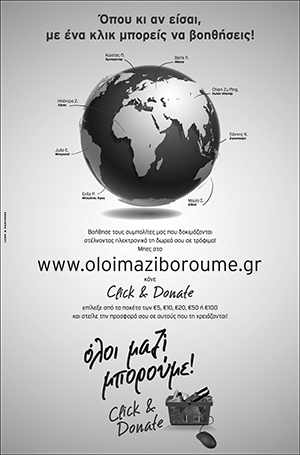 Up to 90,000 Greek Cypriots say that property and land belonging to them which they were forced to leave in 1974 should be returned. But Iacovou said the Turkish Cypriot negotiators “merely” offered to pay compensation “and then only at one tenth of the actual value of these properties”. He said there were also “unworkable” proposals tabled on how EU affairs should be conducted under any reunification of the island. The Turkish prime minister has said he wants to see a solution thrashed out by the end of 2010. The two-hour meeting was only the second to take place between Christofias and the newly-elected Dervis Eroglu, whose election has raised fears of a slowing down in the negotiating process. Further talks will take place in two weeks. As the negotiations are being overseen by the UN, the EU has only an advisory role. Its representative to the talks, Austrian diplomat Leopold Maurer, was not present at Wednesday’s discussions. Even so, Iacouvou, a former Greek Cypriot ambassador to Germany who has been leading the negotiations along with Christofias, says there is a “growing sense” that the EU has to take a “stronger line” with Ankara in order to speed up the process. The EU has set up a steering committee, under commission president José Manuel Barroso, to monitor the talks.